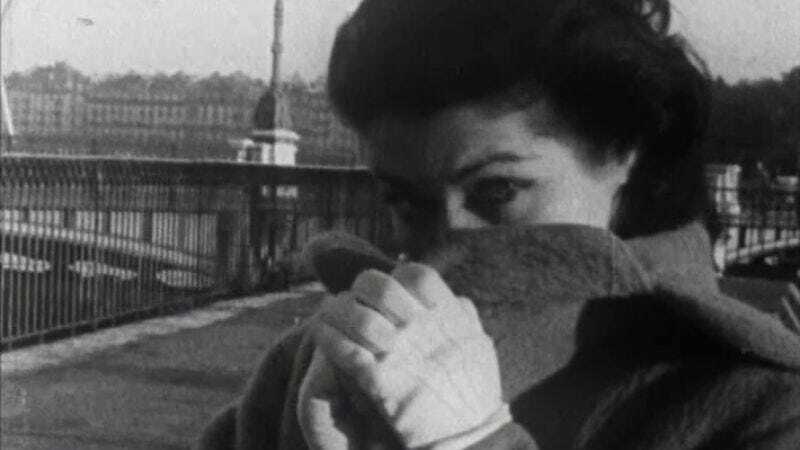 Une Femme Coquette may not sound like anything special—a 9-minute no-budget short film, shot on a borrowed 16mm camera by a 24-year-old amateur with no formal film school training. But the short, which was the subject of our article “Neither lost nor found: On the trail of an elusive icon’s rarest film” back in 2014, has for decades been a sought-after item for art-house buffs and rare movie fiends. Filmed in Geneva, Switzerland, in 1955, it was the first attempt at a narrative film by the iconic French New Wave director Jean-Luc Godard—a pivotal figure in the evolution of movie style, who would make his feature debut just five years later, with the hugely influential and perennially cool Breathless. Never distributed, Une Femme Coquette has had less than half a dozen public screenings since the 1960s; we were able to track down the only known 16mm print to a national film archive in Europe, where it was being stored unlisted for a private owner, to be loaned out only with the personal permission of Jean-Luc Godard himself. This makes it the holy grail of the game-changing New Wave era—a film so rare that it has often been listed as lost by biographies and film history books. And it might as well have been. No other surviving narrative film by a major, big-name director has been as difficult to see—until now. Godard—who makes a cameo around the 2-minute mark, wearing his famous prescription sunglasses—would readapt the story as an Ingmar Bergman parody for the film-within-the-film portion of his 1966 feature Masculin Féminin. While nothing is known about Une Femme Coquette’s lead actress, Maria Lysandre, the man on the park bench is played by Roland Tolmatchoff (credited as “Roland Tolma”), a cinephile and car dealer with whom Godard maintained a friendship for years, and who loaned many of the convertibles memorably featured in the director’s 1960s films. You can watch the whole thing below. Now, who has a copy of Michael Mann’s Jaunpuri?